I know what you're thinking... Kidney Cupcakes?!?! WHAT!! Well if you're picturing an actual kidney (the human/ animal kind) as you indulge in this post, then you're on track! But bear with me, I promise you, it's not as gross as it may seem. Nevertheless, she assured me that she was doing much better and that she couldn't wait to try one of my cupcake or cheesecake concoctions. When I got off the phone I naturally went into brainstorming mode. Determined to make a cupcake that would aid her recovery, I began searching for foods that have positive effects on the kidneys. The first thing that came to mind was of course, kidney beans... And that is where my research began. LiveStrong.com purports that kidney beans contain essential nutrients that can promote kidney health for persons with healthy kidneys, as part a balanced diet. 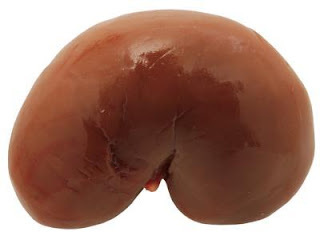 However, since these beans contain protein, potassium, phosphorus and magnesium, their consumption must be monitored for persons suffering from kidney ailments resulting from an excess of these nutrients. As I continued my research, I discovered that in The Doctor's Book of Food Remedies, Selene Yearger recommends flax seeds, on the basis that they can improve kidney function and reverse kidney damage. A group of researches in the University of Western Ontario discovered that several measures of kidney function improved quickly when nine people with lupus were given flax seeds. It was speculated that "the lignans and omega-3's in flaxseed fight inflammation in the tiny very fragile arteries that supply blood to the kidneys, helping reduce the artery-clogging process that can lead to kidney damage." (Yearger, p. 223) Moreover, research suggests that flax seed can fight bacteria and fungi, which may aid in fighting infections. Naturally, kidney beans and flax seeds became the basis for this concoction. Armed with a bag a dried red kidney beans, a package of flax seeds and a jar of dark chocolate hot fudge (for balance of course) I began my experimentation. I was about to make the most "healthy" cupcakes I've ever made, and probably the most delicious. 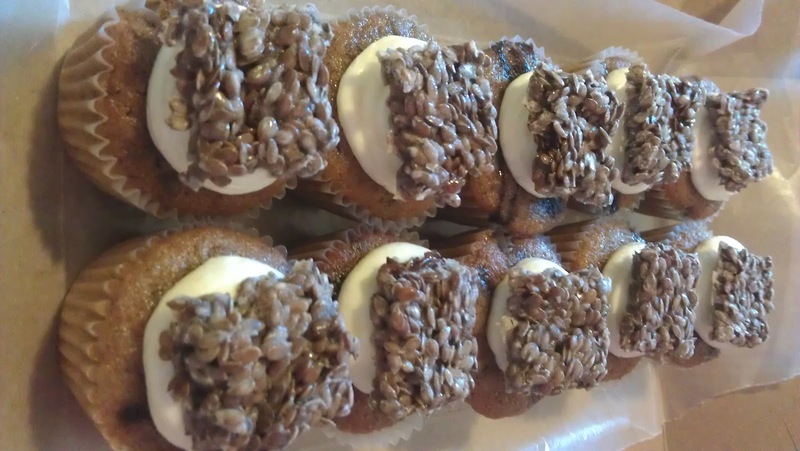 Many of the persons I had taste test these cakes were a bit hesitant at first, but I watched as they took a bite and fell in love with the flavorful, moist, yet crunchy combo! 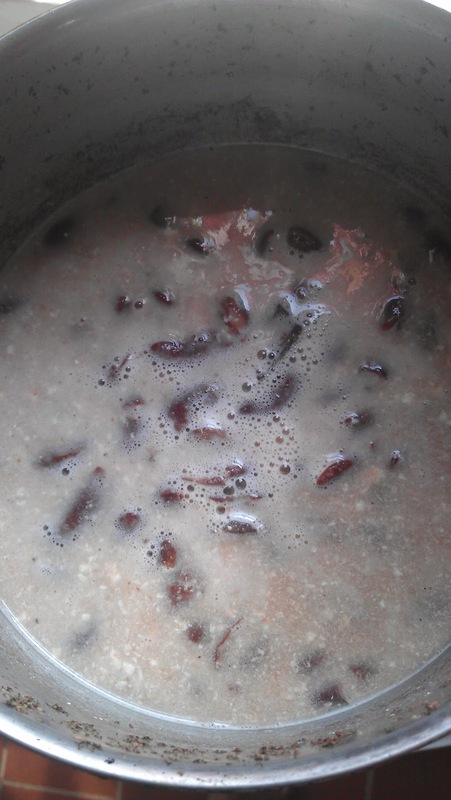 Next I added the buttermilk and water combo to the soft kidney beans (Photo 2) and boiled them again creating a reduction. 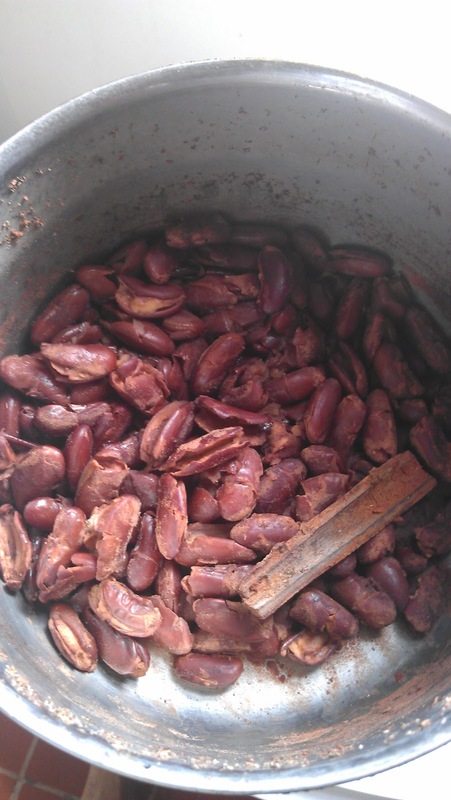 Photo 3 shows the reduction half-way done and Photo 4 shows the completed reduction: a creamy bean paste. Some beans appeared whole, but they were thoroughly cooked and soft. 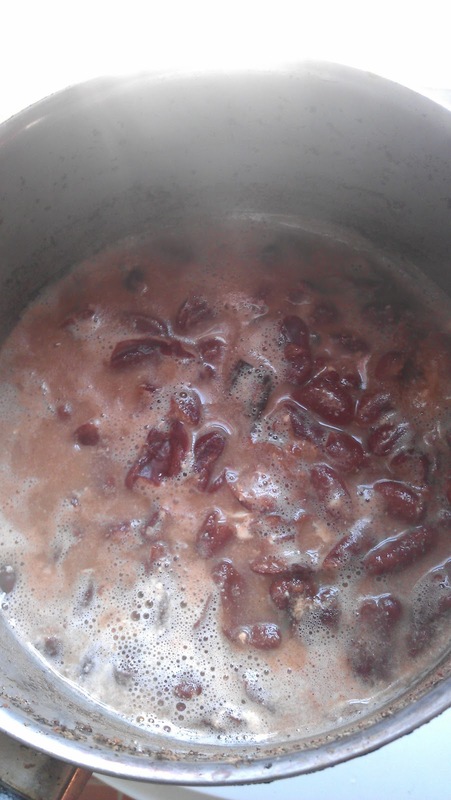 Kidney Bean Compote to batter. In a glass bowl, combine oil and sugar, until it appears like wet sand. In a separate bowl, beat eggs and then add to oil and sugar mixture. 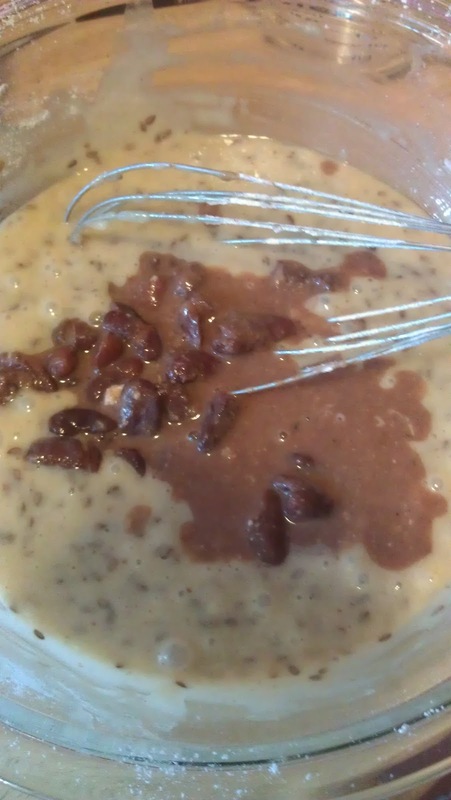 Next, add flax seeds to mixture. In a separate bowl, combine dry ingredients and sift 3 times. 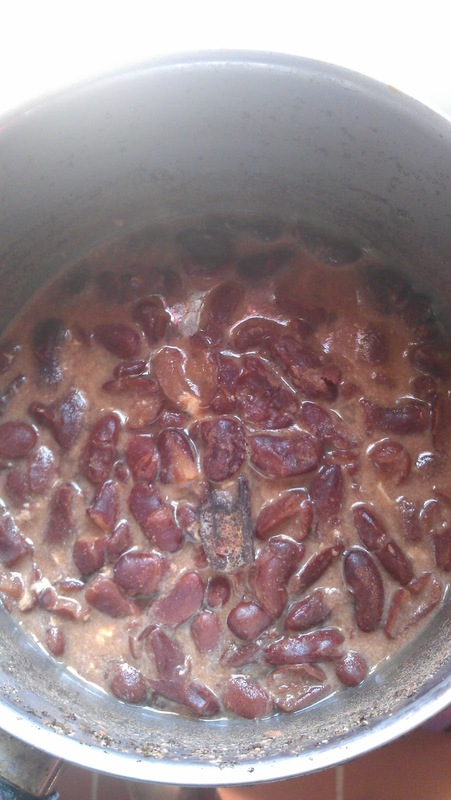 Alternate the addition of the dry ingredients with that of the Buttermilk Kidney Bean Compote, in a 3 : 2 ratio. (See Photo 5 on the right) Using a whisk, fold batter until all elements are evenly distributed. 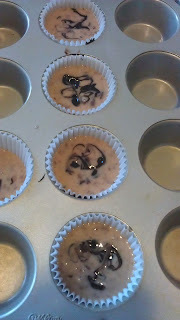 Scoop batter into prepared cupcake pan, only fill the cups half-way and add a thin layer of warm hot fudge, next add another layer of batter. Using a toothpick, make swirls in each cup, disturbing the layers to create a marbled effect. 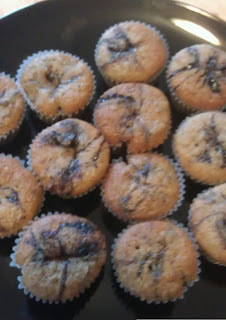 (Photo 6) This recipe makes 1 dozen minis, and 8 standard sized cupcakes. In a sauce pan, combine water and sugar and bring to a boil. 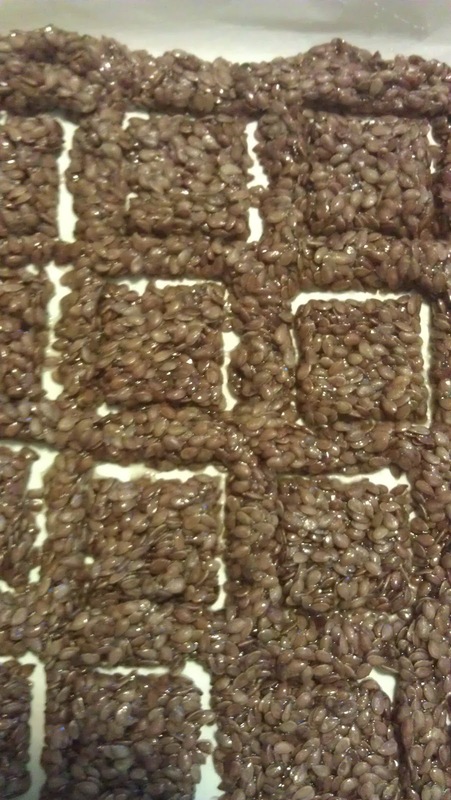 Add flax seeds (sugar should be completely dissolved before adding seeds). Cook until mixture becomes thick, stirring constantly to ensure that it does not burn. 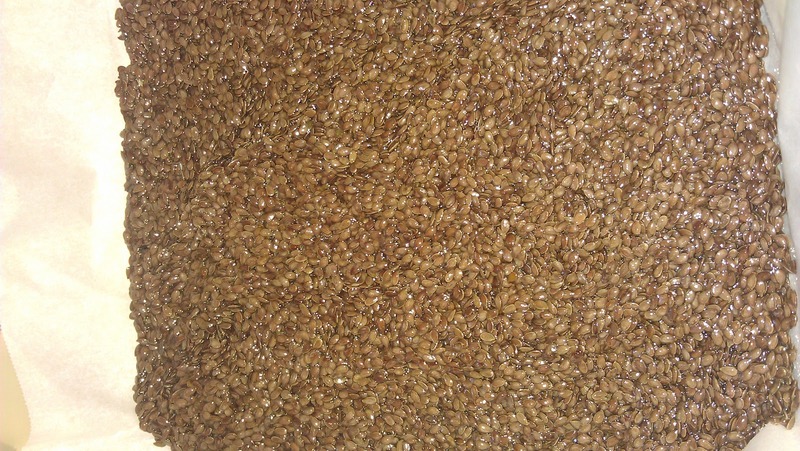 When the flax seed mixture begins to clump together, add baking soda and mix until completely incorporated. Next, remove from heat and spread evenly on to a cookie sheet or parchment paper lined baking pan. (Photo 8) Allow to set until partially stiff. Using a cookie cutter mold in to desired shape shown in (Photo 9) and allow to set for another couple hours or until it the sugar re-crystalizes and bark becomes crispy. 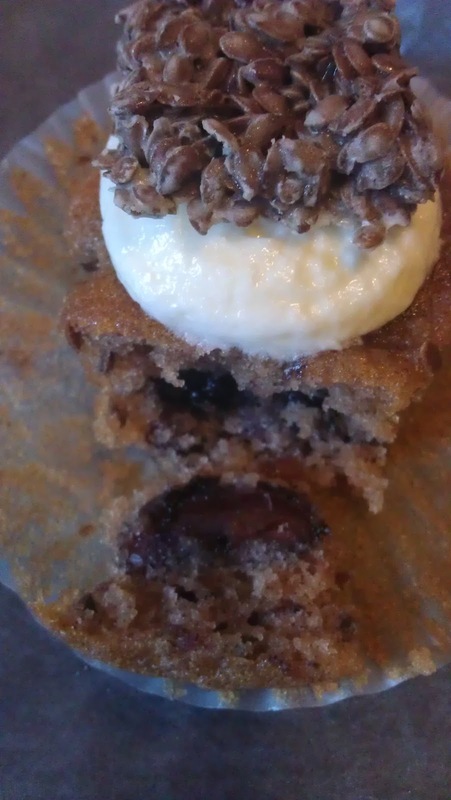 After cooling, garnish the Hot Kidney Flax Seed cupcakes with a dollop of Vanilla Buttercream and cap with a piece of Flax Seed Bark. The end!